Turn the commute into a win for your employees and your business! Traffic congestion and greenhouse gas emissions are at unsustainable levels, and corporate commuters in cities the world over have shown that they are ready for change. 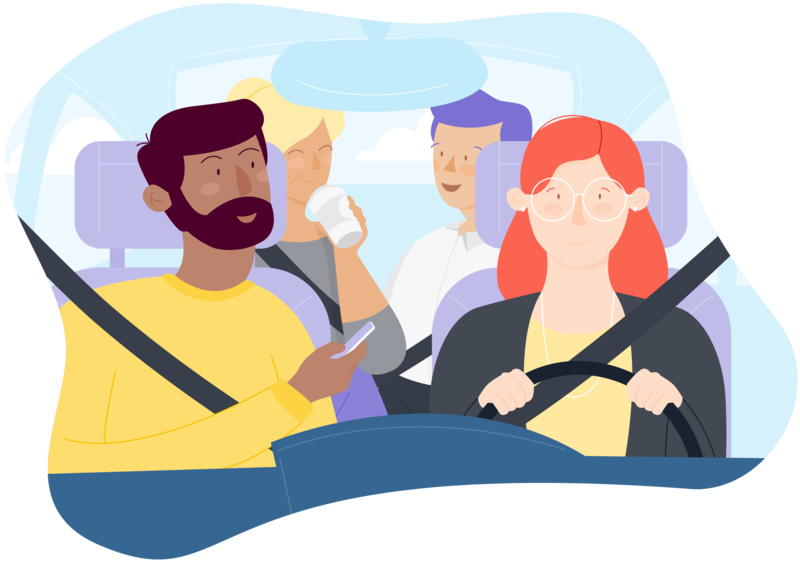 Employers have a vested interest in helping their employees reduce the stresses of the daily grind, and easing employee commutes is one of the most important ways businesses can make a real difference in the lives of the people who work for them. As transportation demand management experts have noted, real innovation comes from how people use transit networks, rather than modes of transit themselves. In many cities the infrastructure is already there. What people need are the right tools to help them make the most of it, and that’s where RideAmigos can help. RideAmigos commuter management software is a powerful tool to meet your ridematching, sustainability and financial needs. With all the tools you need to understand your commuters and reduce single occupancy vehicles (SOVs), RideAmigos is the perfect solution for employers and companies across the globe. 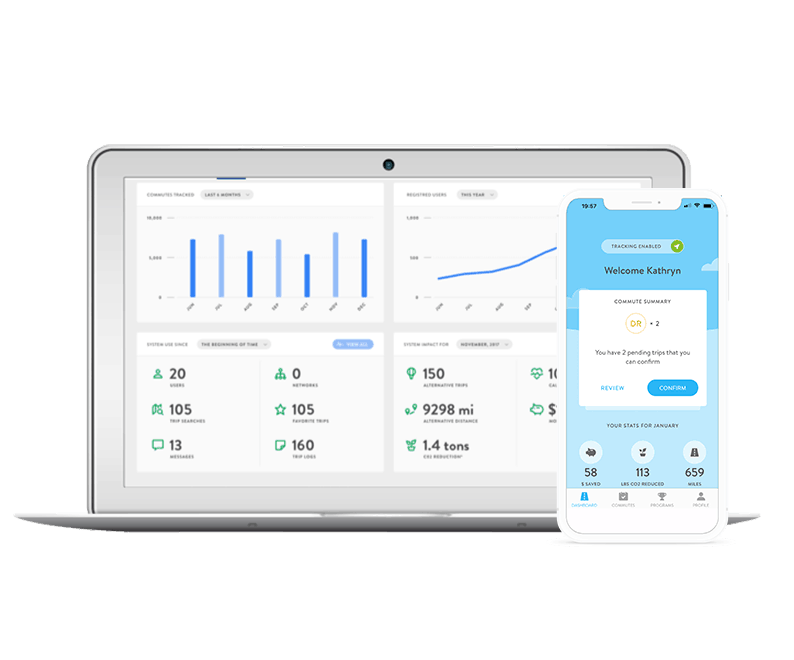 We put all the information your employees need to find a better way to work in their hands with a single convenient, intuitive interface that’s affordable and fun to use. An inefficient commute can take a big toll on your enterprise’s workforce. When people start their day with a long and taxing journey, their energy is already off its peak, and that can have a damaging trickle-down effect. Studies have shown that driving a single-occupancy vehicle to work is the single most stressful way to commute. If you want to make a positive impact, providing your employees with meaningful alternatives is a great place to start. Walking, biking, public transit, and ridesharing are all scientifically proven to be better transportation alternatives. They build a stronger sense of community while having a positive impact on the health and lives of your organization’s employees. That translates into big benefits for your workforce; what business doesn’t want a happier, healthier team on its side? 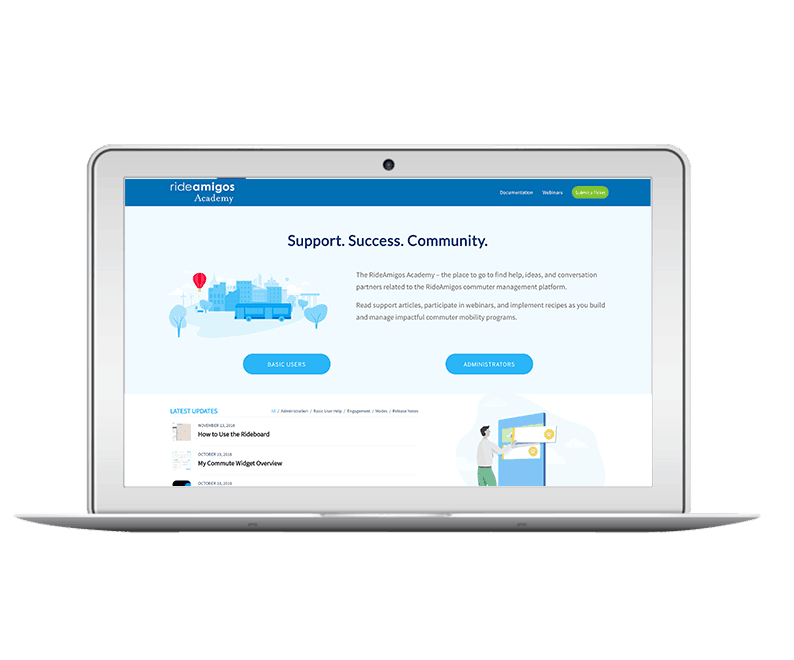 Our quick setup guide and unparalleled customer support allow for a simple transition to our platform. The RideAmigos Academy empowers everyone to learn and grow together. Join our community, where you can share with your peers on best marketing strategies, engagement tips, and more. Collect and analyze data from your staff, see who is eligible for transportation benefits, meet your VMT or non-SOV goals and more with our AQMD certified survey tool! Enable commuters to compare different transportation options – and their impact – in one place. RideAmigos can help users easily identify all transportation options for your employees, in one place. Admins can create challenges between networks and give away prizes to top performers. Admins can also set incentives for their employees by rewarding users for a set goal of green trips. 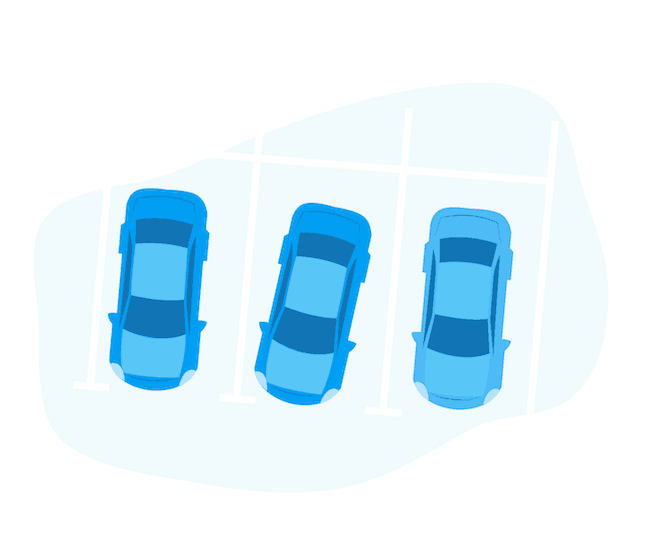 Reduce parking demand with proven behavioral incentives and give employees more commute choices with RideAmigos parking cash-out programs. Build a happier, more productive workforce with the help of our proven urban commuting solutions. Our innovative technology-driven platforms are the key. We provide affordable, scalable solutions that are perfect for businesses of all sizes, from small enterprises right up to multinational corporations. Check out our portfolio to see how we’ve already helped numerous businesses, universities, and government agencies improve their commuting initiatives. Contact us to discuss your specific commuter management needs in detail.